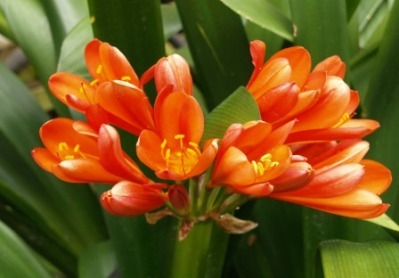 Clivia are among the easiest evergreen accent and landscape plants for shady positions. Incredibly tolerant of a wide range of conditions and surprisingly drought tolerant as well. Plant Care by Ron Vanderhoff. 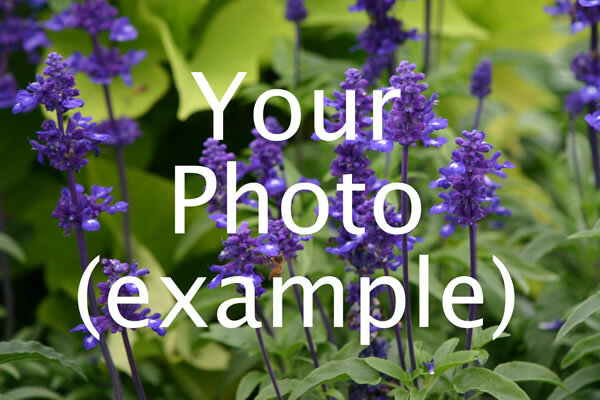 This plant care was originally written by KatWolfDancer: Truly a spectacular architectural plant for a perennial garden, Phormiums add splash, drama, and elegance to any landscaping with their arching, strappy leaves which fold and change directions midway up the blade. 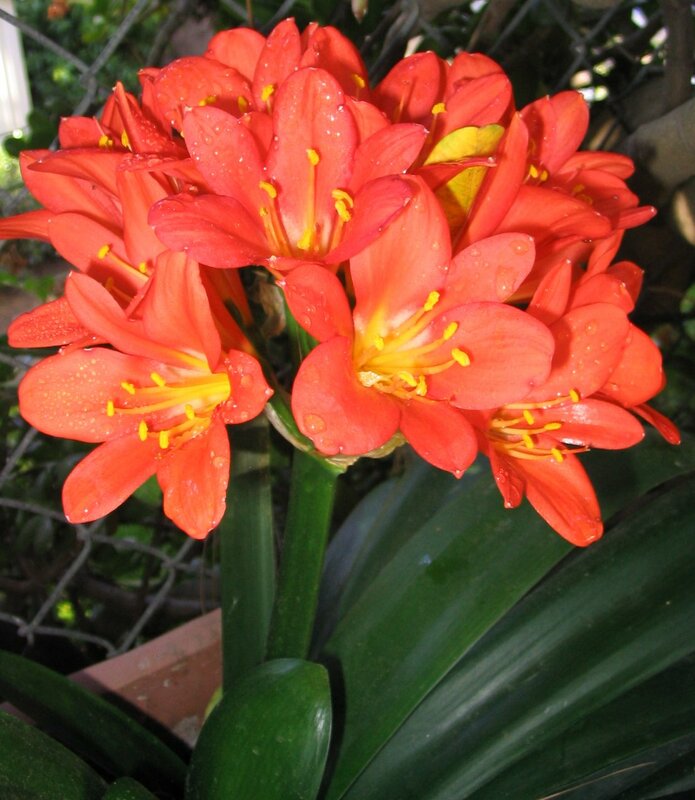 Phormiums have a clumping, compact habit, and can grow taller than the suggested height if they are happy. This group normally stays around the 1'-3' height. With care, they are long-lived. 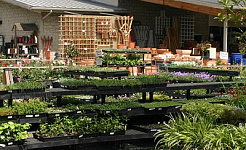 They need moderate watering, good drainage, and full sun to light shade. In the colder zones, they will need winter protection. 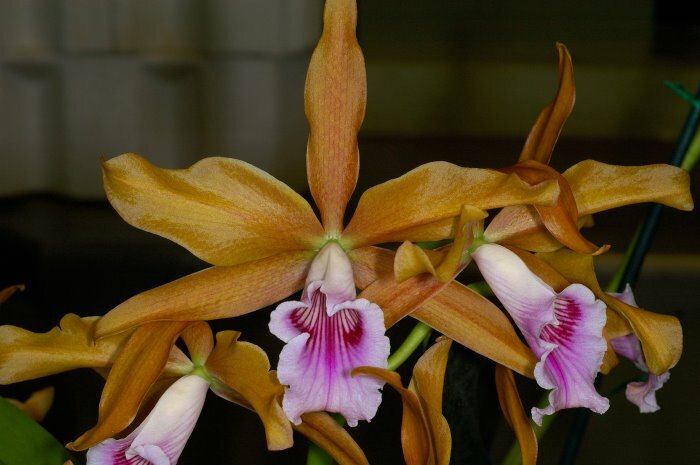 They are hardy to around 15* F. This cultivar, a sport of "Yellow Wave", has a reputation of reverting back to green, and in order to keep the striking colors vibrant, it is best to cut these rogue blades out of the plant. 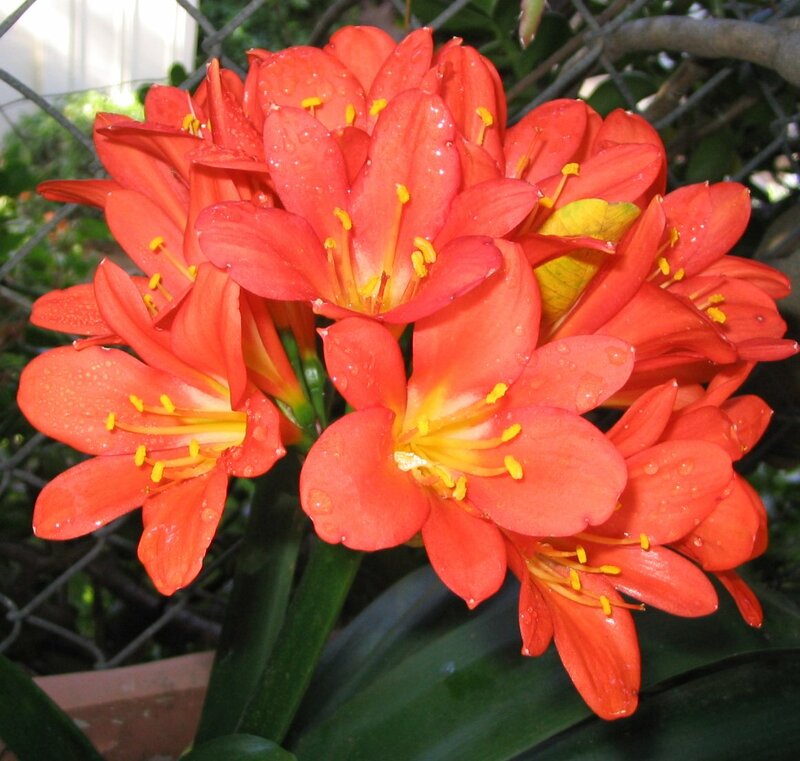 Older, established plants can flower a deep lovely red, and are quite attractive to hummingbirds. "Jester" flaunts a rich pink leaf with an orange midrib and lime-green bands, and is relatively slow growing and tidy. A real show stopper!